Meet our new abroad blogger and former sports editor, Annie Maroon! It’s a good thing I have some experience with cities that refuse to make sense. On the first day of my Contemporary Irish Society class, our professor explained to us that we shouldn’t be too concerned about the fact that street signs in Dublin are hidden away on the sides of buildings, or that there aren’t uniform city blocks so much as there are places where streets accidentally intersect with other streets. In short, it won’t be long before we’re used to the fact that Dublin is actively trying to confuse us. This is a pretty poetic way to talk about buildings and streets being jammed together haphazardly, the same way they are in Pittsburgh, where I spent my summer. (In Pittsburgh, we mainly just curse out our GPS and focus on weaving through the construction cones.) The Dublin tourism bureau would probably tell you that kind of poetry is typical; this is the city that gave us James Joyce, after all. The home of Oscar Wilde, who has an encyclopedia’s worth of witty quotes attributed to him, some of which he may not have even said. Maybe I’ll finally be inspired to finish my first novel here. At worst, here’s hoping I’ll be motivated to keep up with this blog. I probably got a lot of the same stories and images as a lot of American kids whose great-great grandparents came from Ireland, growing up, so I consider myself pretty lucky to have wound up here. Of course, I have to change the way I describe myself – at home, when the topic of heritage comes up, I can comfortably call myself an Irish-Lebanese Pennsylvanian (rolls off the tongue, doesn’t it?). Here, I’m not Irish. I’m from the States. It wasn’t worth explaining that I have a Droid, which is as baffling and excessive as any iPhone. Like it or not, I represent the States from sea to shining sea every time I open my mouth here. I’m expected to be on time, even though Irish people are apparently expected to be late for everything. I’m already tied to Bill Clinton and John Wayne (I’ve been told) by virtue of my birthplace, and I’m cool with that. This is the fun part – this is the part where I put names and faces and personalities to Irish people who aren’t Bono and the Edge. 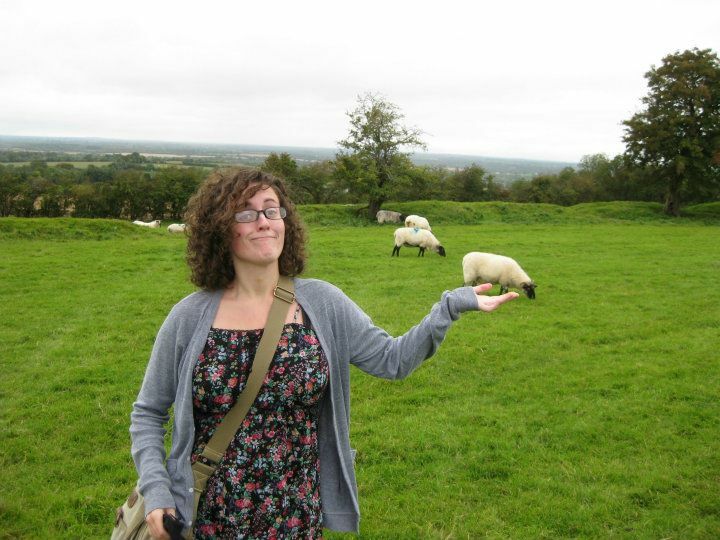 This is the part where I learn my way around Ireland.